Kristie has enjoyed the world of real estate for over 20 years with experience across a wide range of areas in the industry. She has worked her way up through the ranks from junior office administrator to the head of our property management division. Kristie brings a wealth of experience and an impressive skillset to her role at Elders Bangalow. Running a team of highly motivated property managers plus support staff, Kristie is here to ensure that each of her team gives our clients the quality of service they deserve. 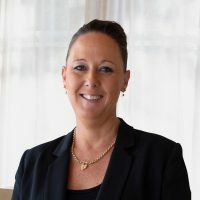 Always keeping her landlords’ best interests at heart, Kristie strives to ensure every property is well looked after with a focus on creating a return from our landlords’ investments. Kristie’s knowledge of the current trends and law surrounding property management together with her hardworking attitude makes our clients feel confident their investment property is in safe hands. Kristie believes that great property management comes from up to date training and clear communication. She prides herself on attention to detail, providing total client satisfaction and ensuring that the management process is seamless and stress free for all involved. There’s not much Kristie can’t handle in the world of property management, which makes her an invaluable leader of our property management division. Along with her other real estate qualifications, Kristie has been a licensed real estate agent since 2003. Would you like to speak to Kristie? If you’re thinking about renting or selling your property and you’d like a clearer picture of how much your property might be worth or want to have an informal chat about general property market trading conditions, Kristie will be happy to arrange a full market appraisal of your property.